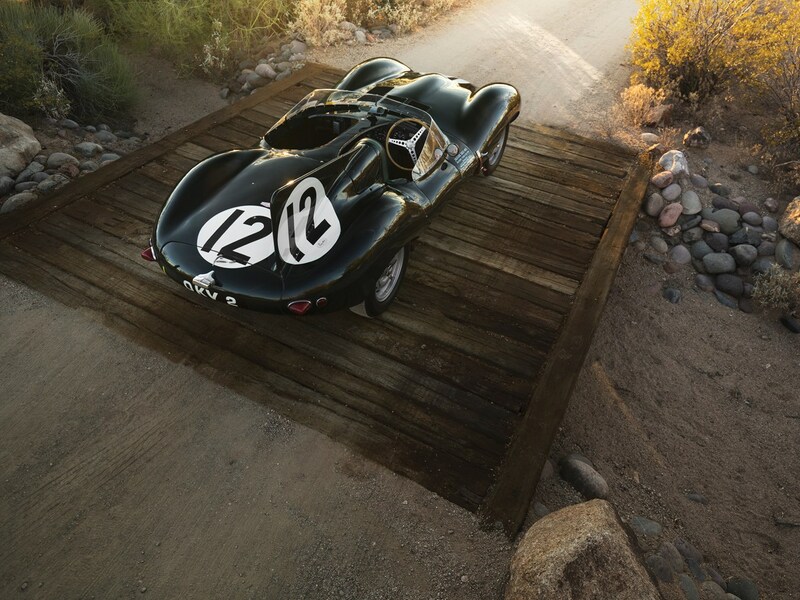 "OKV 2" is one of 5 experimental D-Type Works and is the most famous example of them all. 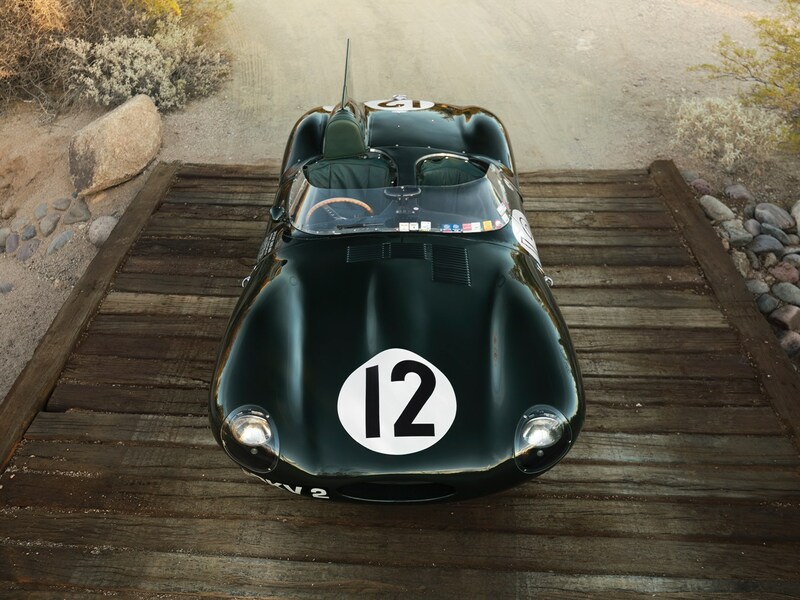 Even before Jaguar unveiled the intoxicatingly-beautiful E-Type, it built another car that would make the queen from Snow White break her mirror in jealousy. 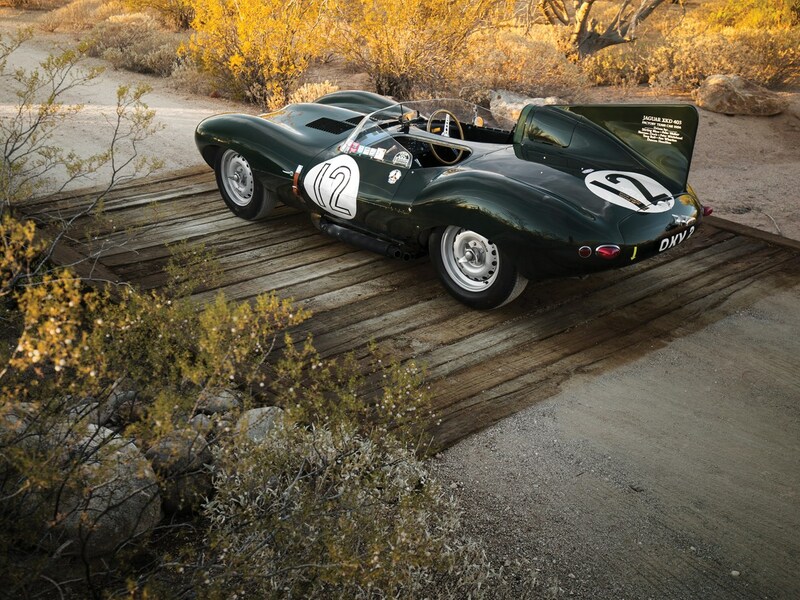 It was called the D-Type, and it owed much of its design and innovative monocoque body to aviation programs. 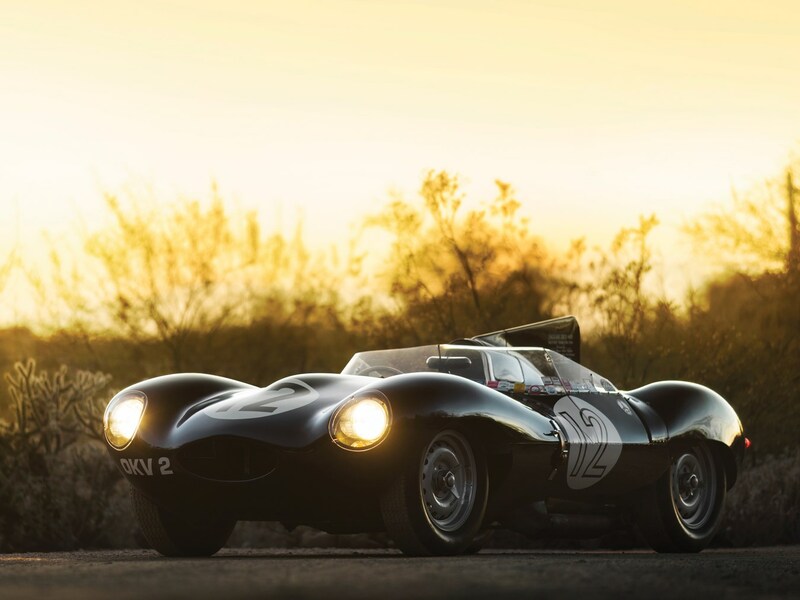 D-Types dominated Le Mans three years in a row, and to this day are some of the most desirable and expensive cars on the planet. 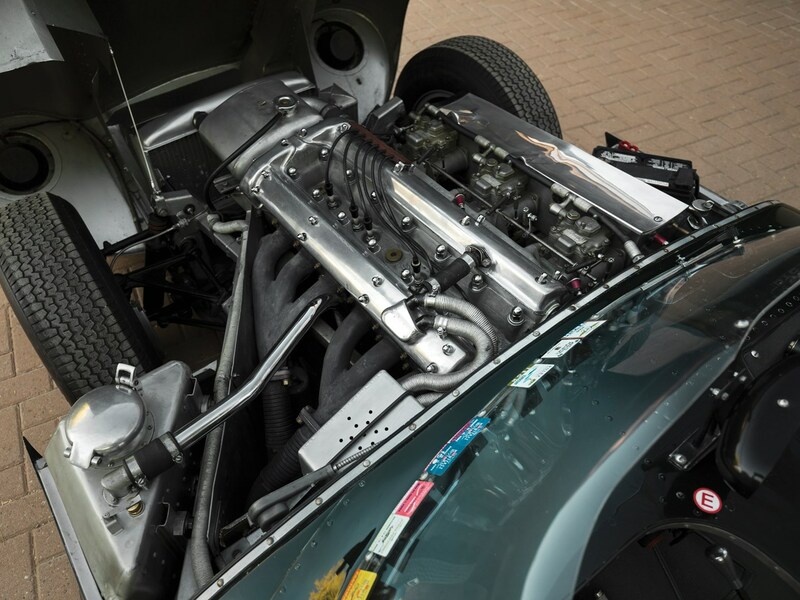 While just 87 D-Types were built, Jaguar also created 5 development variants called "Works" D-Types to test and refine the car. 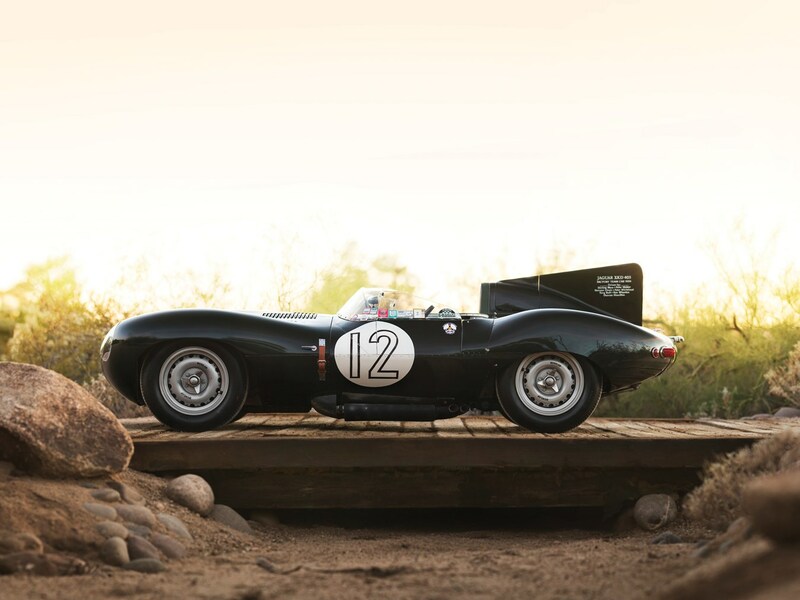 The most famous of these cars, dubbed OKV 2, will go to auction at the RM Sotheby's Arizona event in 2018, where it's expected to sell for $12-15 million. 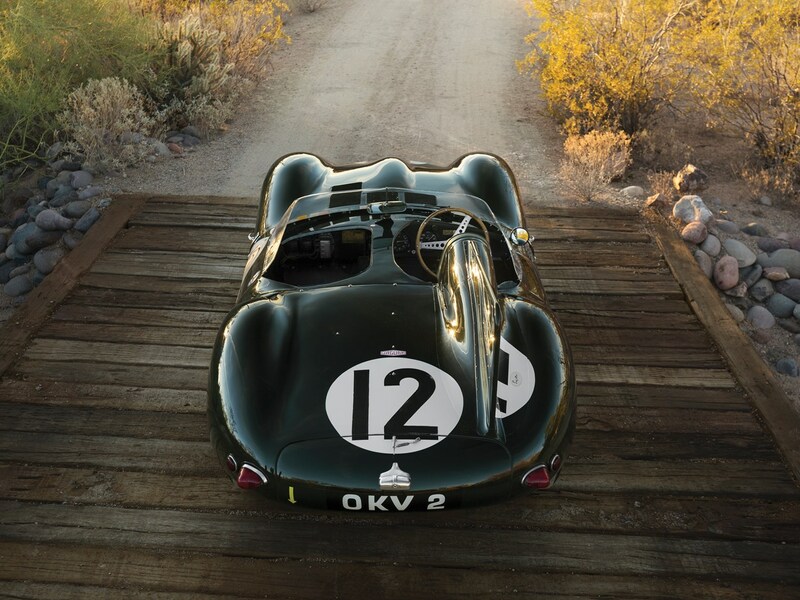 You'll have to read the full bio to understand how busy this car was during the height of its career, but it's sufficient to say that OKV 2 was Jaguar's most active D-Type ever. 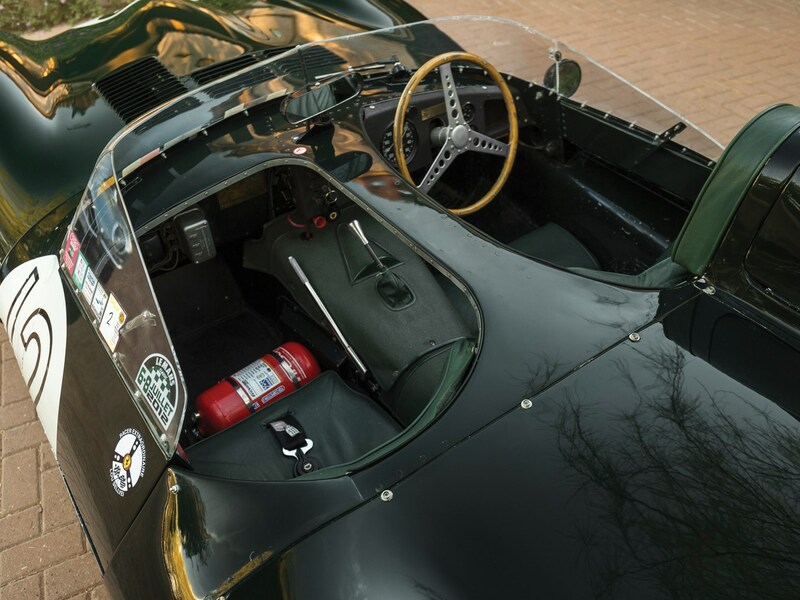 In the 1950s alone it participated in more than 55 races, securing 5 full wins and 24 podium finishes. 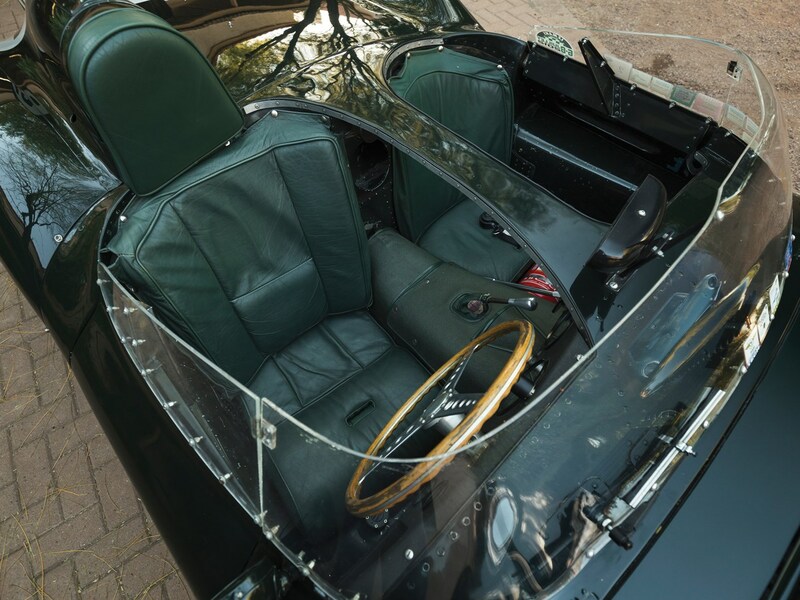 It became Jaguar's number one factory car, changing hands between 16 of Jaguar's legendary factory test drivers including Stirling Moss who piloted it during the 1954 24 Hours of Le Mans. 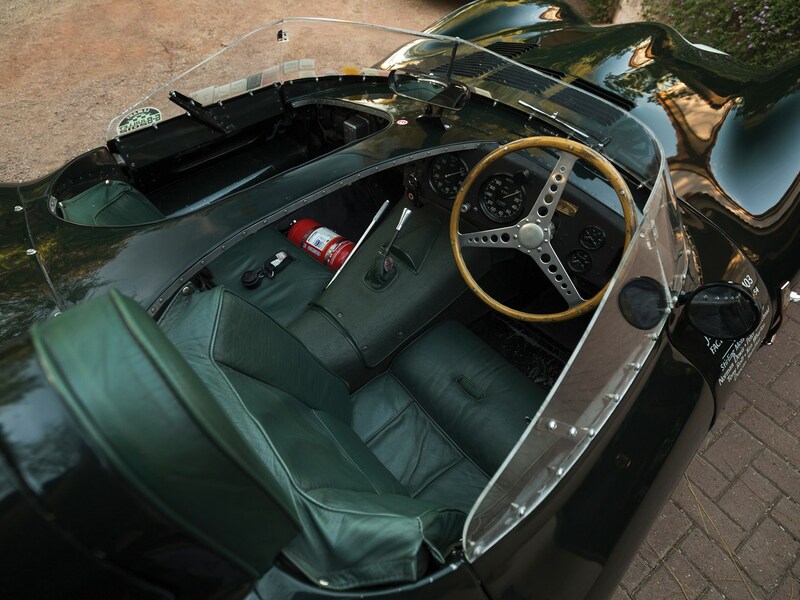 The car is painted in British Racing Green (of course) and is a must-have for (well-off) car collectors. 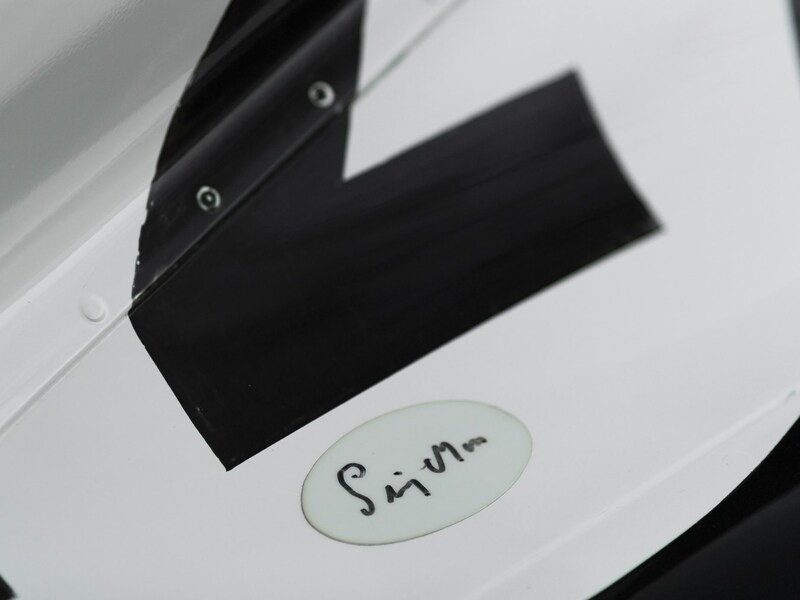 It also comes with a spare engine and a mountain of documents including FIA papers, period-correct photographs of the car, factory documents, notes from the drivers, and entry forms from the 1954 Le Mans race. It will be presented at the auction block in Phoenix, Arizona at the end of January, and we'd be surprised if it sold for anything less than the $15 million target. 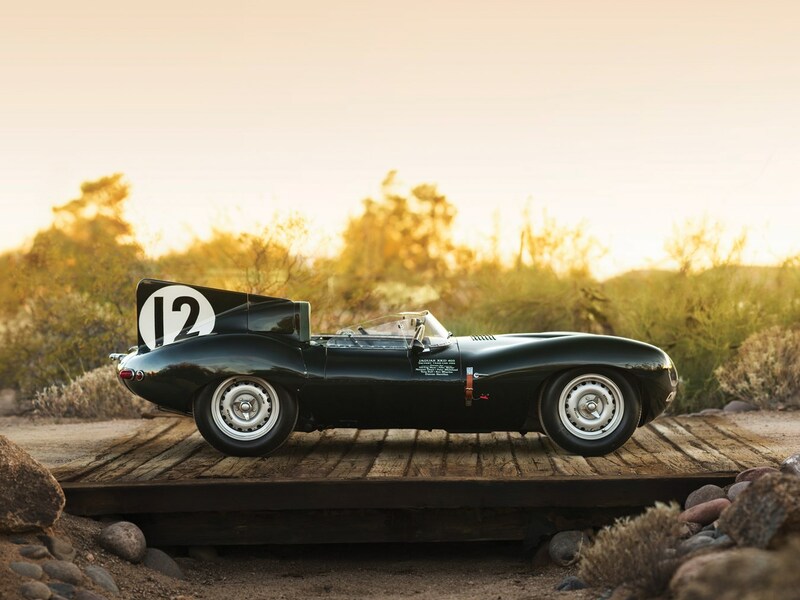 Billionaire spring breakers race to the Amelia Island Concours d'Elegance to bid on road-going version of Jaguar's LeMans-winning D-Type. Could This Stunning Car Show Become the East Coast Pebble Beach? A slew of priceless cars on a Hamptons golf course, attended by overdressed rich guys? That’s a start. Patinaed CSX2000 pulls a mint. When it comes to millions spent, one marque is way, way ahead of the rest.